Are you in urgent need of auto glass repair or windshield replacement for your vehicle in Greater Toronto Area? We are your go-to Auto Glass Repair Toronto shop. Very few auto glass repair Toronto companies can provide the level of service and quality that Advantage Auto Glass can. We are a family-owned and operated, detail-oriented, and ethics based auto glass business. We specialize in windshield replacement and repair for most cars makes and models at a competitive price! We strive to always listen to our customers and constantly work to meet their needs by providing the very best quality products at a fair and competitive price. It doesn’t matter what type of auto glass needs you have; just bring the problem to us and our auto glass repair Toronto experts will take the ownership of bringing you back to business ASAP! With more than 10 years of experience up our sleeves, we provide thorough and reliable auto glass replacements in Toronto as well as repair services that will help you get out of your predicament. There is no job that we can’t handle so worry not if your windshield got destroyed in a minor collision or a hit by a flying object. We provide quality windshield replacement in Toronto that will certainly leave you satisfied. We provide auto glass services in Greater Toronto Area including Toronto, Woodbridge, Vaughan, Maple, Caledon, Scarborough, North York, East York, Etobicoke, Richmond Hill, Thornhill, Mississauga, Bolton, Brampton, New Market. Over the past 10+ years we have been serving customers in the Greater Toronto Area with the attention to detail and ethics that stem from being a family owned and operated business. We strive to always listen to our customers and constantly work to meet their needs by providing the very best quality products at a fair and competitive price. We offer a wide range of services that customers can avail of. Whether it is a windshield chip repair or a cracked windshield that needs replacement, we will handle it for you. With a capable staff on hand, you can always rest assured knowing that you have an Auto Glass Replacement Toronto professionals attending to your every need. Our auto glass repair services have always left customers satisfied so we are certain you won’t be disappointed. From hail stones to bad roads or frozen ice, just about anything can cause damage to your windshield or your rear and side glasses. In some circumstances, when the damage is massive, it makes more sense to go for windshield replacement. However, in other situations, if the damage isn’t too bad, repairing the windshield crack or chip will work. At Advantage Auto Glass Repair Toronto, we provide you with repair services that are par excellence. Not only do we have certified technicians who will come to your rescue but we assure you that the job will get done as quickly as possible. We will provide you with a competitive auto glass repair quote and we will have it taken care of. If your auto glass is damaged beyond repair, the only solution will be to get it replaced. Most of the latest vehicles are designed in such a way that the windshield is connected to the roof support. This makes it hard to take it as a DIY project. Hence, it makes sense to hire our auto glass replacement Toronto professionals to do the job right the first time. The replacement glass that we use complies with industry standards so it will certainly last long. The glass that we make use of adheres to the Original Equipment Manufacturer (OEM) standards so it will always be as good as the original glass you had. It’s highly recommended that any auto glass damage be dealt with immediately and doing so will certainly be safer and benefit you by saving money and time. If your windshield has a chip right in the middle that bugs you every time you set eyes on it, all you have to do is bring your vehicle to us and we will have it fixed as soon as possible. Windshield chip repair in Toronto is usually covered completely by insurance companies so even if you have had an accident, you need not have to worry about spending money from your own pocket. By injecting the right adhesive into the cracks, the glass will get back its rigidity and feel as good as new. Having a windshield with a huge crack over it will make it impossible for you to drive. This is why you need to get your hands on our Toronto windshield replacement services. Windshield replacement in Toronto has never been easier than as it now is. By getting your vehicle to us, we will scan the damage and let you know if a replacement is really necessary. Once you give us the go, our professionals will get on the job and install a new windshield that suits your needs. We will waterproof your windshield and what’s more, we even provide a lifetime warranty on the waterproofing. At Advantage Auto Glass, not only will we provide good-quality replacement glass but we use adhesives that adhere to the Federal Motor Vehicle Safety standards so you have absolutely nothing to worry about when you choose us. Driving with a cracked or damaged door glass is equally unsafe as the possibility of it bursting into shards at any moment always looms large. To replace door glass, you need to remove the panel of the door. This procedure varies among vehicles. However, when you have experts on the job, you can sit back and watch it get done. Just give us a call and our Toronto windshield repair technicians will repair or replace your door glass as and when it is convenient for you. You can rest assured that the glass we use is of good quality. If you have met with an accident and are in serious need of auto glass repairs in Toronto, just give us a call and we will be at your location in a jiffy. It doesn’t matter if you cannot bring your vehicle to us as we provide mobile auto glass repair services that are always there to come to your aid. Irrespective of where you are, when you give us your location, we will send the closest mobile service vehicle to attend to you. At Advantage Auto Repair Toronto, we have a team of professional technicians ready to attend to all your auto glass replacements in Toronto. We provide our services to a number of car brands, including Ford, Toyota, Hyundai, Nissan, Audi, BMW, Lexus, Mercedes Benz, Honda, Dodge, Ram, Kia, Mazda, Chevrolet and several other car brands. So no matter what vehicle you have, if you have glass trouble, just get it over to us and leave the job in our capable hands. Customer satisfaction is our top priority for our auto glass repair Toronto experts. 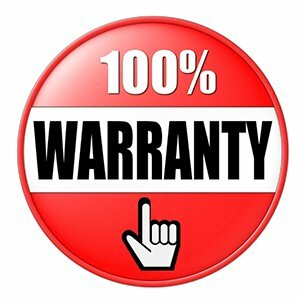 We provide customers with a lifetime warranty for our repair and replacement services. For as long as you own the vehicle, we guarantee quality repairs and replacement services. Leave Insurance Claims to Us! If you need to sort matters out with your insurance company, regarding the damage caused, you can leave it to us to handle the claims for you. We provide this service at no additional cost. More often than not, we are able to waive your claim deductible up to 100 percent. Why Choose Advantage Auto Glass & Windshield Repair Toronto? 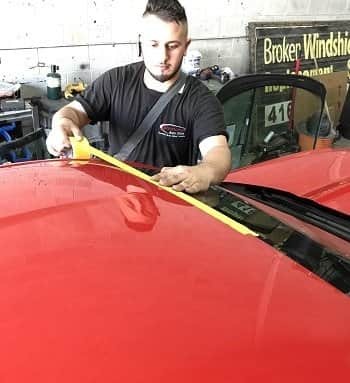 At Advantage Auto Glass & Windshield Repair Toronto, we stress on delivering quality and ensure that our customers are provided efficient services. Our mobile service will come to your rescue no matter where you are. With a dedicated team of professionals on the job, you can rest knowing that your vehicle’s repair and replacement needs are in good hands. So get in touch with the Auto Glass & Windshield Replacement Toronto experts today at 416-740-7779 to receive quality auto glass repair and replacement including windshield replacement and repair services in Greater Toronto that are reliable and one of a kind. You can also request an auto glass repair quote online.